Diana Morrison lit the candles in her dining room, on a table set for six. The apartment was large and elegant, with a view of Central Park. Diana and Eric had lived there for nineteen of the thirty-two years they’d been married, and for most of those years their two daughters had lived there with them. Both girls had moved out only in the last few years, Samantha to an apartment of her own when she graduated from Brown, and Katherine when she got married five years before. They were good girls, bright and loving and fun, and despite the expected skirmishes with them in their teens, Diana got along with them extremely well, and she missed them, now that they’d grown up. But she and Eric had enjoyed their time alone. At fifty-five, she was still beautiful, and Eric had always been careful to keep the romance fresh between them. He heard enough stories through his work to understand what women needed from their men. At sixty, he was a handsome, youthful-looking man, and a year before he had talked Diana into getting her eyes done. He knew she would feel better if she did. And he’d been right, as she checked the table again that she had set for New Year’s Eve, she looked glorious in the candlelight. The minor cosmetic surgery she’d had, had knocked ten years off her age. She had let her hair go white years before, and it shimmered like fresh snow in a well-cut, angled bob that showed off her delicate features and big blue eyes. Eric always told her that she was as pretty as she’d been when they met. She’d been a nurse at Columbia-Presbyterian, when he was an obstetrical resident, and they’d gotten married six months later, and been together ever since. She’d stopped working when she got pregnant with Katherine, and stayed home after that, busy with the girls, and understanding with Eric as he got up night after night, to deliver babies. He loved his work, and she was proud of him. He had one of the most successful ob/gyn practices in New York, and he said he wasn’t tired of it yet, although two of his partners had retired the year before. But Eric still didn’t mind the hours, and Diana was used to it by now. It didn’t bother her when he left in the middle of the night, or had to cancel out of dinner parties at the last minute. They’d been living that way for more than thirty years. He worked on holidays and weekends, and loved what he did. He had been there with their daughter Katherine when both of her boys were born. They were the perfect family in many ways, and life had been good to them. Theirs was an easy, fulfilling life, and a solid marriage. Diana kept busy now that the girls were grown, doing volunteer work at Sloan-Kettering, and organizing fund-raisers for research. She had no desire to go back to nursing once the girls grew up, and she knew she’d been out of it for too long. Besides, she had other interests now, her life had grown by leaps and bounds around her. Her charity work, the time she spent with Eric, their many interests, their trips, and her two grandsons filled her days. As she stood in the dining room, she turned as she heard Eric walk into the living room, and for an instant, he stood in the doorway of the dining room, smiling at her, as their eyes met. The bond between them was evident, the solidity of their marriage rare. “Good evening, Mrs. Morrison . . . you look incredible.” His eyes said it even before his words did. It was always easy to see, and to know, how much he loved her. 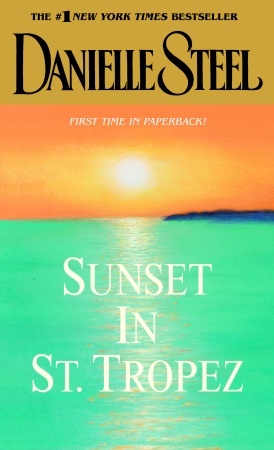 He had a handsome, boyish face, strong features, a cleft chin, eyes the same bright blue as her own, and his hair had drifted effortlessly from sandy blond to gray. He looked particularly handsome in his dinner jacket, he was trim, and in good shape, with the same narrow waist and broad shoulders he had had when they got married. He rode a bike in the park on Sunday afternoons, and played tennis whenever he wasn’t on call on the weekend. And he either played squash or swam, no matter how tired he was, every night when he finished at the office. The two of them looked like an ad for healthy, attractive middle-aged people. “Happy New Year, sweetheart,” he added as he walked over, put an arm around her, and kissed her. “What time are they coming?” “They” referred to the two couples who were their favorite companions and best friends. “At eight,” she said, as she checked the champagne cooling in a silver bucket, and he poured himself a martini. “Or at least Robert and Anne will. Pascale and John should be here sometime before midnight.” He laughed as he dropped an extra olive in his glass and glanced at Diana. Eric and John Donnally had gone to Harvard together, and been friends ever since. They were as different as night and day. Eric was tall and lean, easygoing, open, and generous of spirit. He loved women, and as he did every day in his practice, he could spend hours talking to them. John was stocky, powerful, irascible, ornery, argued constantly with his wife, and pretended to have a roving eye, although no one had ever actually seen him do anything about it. And in truth, John loved his wife, although he would rather have died than admit it publicly, even among his closest friends. Listening to him and Pascale talk was like hearing a series of rapid-fire explosions. She was as volatile as he was, and eight years younger than Diana. Pascale was French and had been dancing with the New York City Ballet when John met her. She was twenty-two years old when they met, and twenty-five years later, she was as tiny and graceful as she had been then, with big green eyes, dark brown hair, and an incredible figure. She had been teaching ballet for the past ten years, in her spare time. There were only two obvious things that were similar about Pascale and John–neither one was ever punctual–and both had difficult dispositions, and loved to argue, for hours on end. They had turned the art of bickering into an olympic sport. The last of Eric and Diana’s guests for New Year’s Eve were Robert and Anne Smith. They had met the Morrisons thirty years before when Eric delivered Anne’s first baby, and their friendship with the Morrisons was born at the same time. Anne and Robert were both attorneys. She was still practicing, at sixty-one, and Robert had become a superior court judge. At sixty-three, he had the appropriately solemn looks that went with his position. But his sometimes dour demeanor was a mask for a kind and gentle heart. He loved his wife, his children, and his friends. He was tall and good looking, and deeply devoted to Anne, and their three children. Eric had delivered all three, and had become one of Anne’s favorite friends. Robert and Anne had married in law school, and had been together for thirty-eight years. They were the elder statesmen of the group, seemed the most staid, mostly because of their jobs. But they were warm and lively among friends, and had their own style, as the others did as well. They weren’t as colorful or as excitable as Pascale and John, or as youthful and stylish in their looks as Eric and Diana. Robert and Anne looked their age, but were young at heart. The six friends were deeply attached to each other, and always had a good time together. They saw a lot of each other, more so than other friends. did often, on a variety of subjects, most of the time much to the amusement of the others, who were accustomed to the heated arguments Pascale and John made no attempt to hide and seemed to enjoy. The three couples had chartered a sailboat in the Caribbean together once, and rented a house in Long Island several times. They had gone to Europe together more than once, and always enjoyed their joint travels. Despite their very different styles, they were totally compatible, and the best of friends. They not only tolerated each other’s foibles, but understood each other in important ways. They had shared a lot of history with each other over time. It was fitting that they spend New Year’s Eve together. And for the past two decades, it had been a tradition that all three couples cherished, and counted on every year. They rotated houses from year to year, going to Robert and Anne’s for quiet, early evenings some years, which ended just after the stroke of midnight, or to John and Pascale’s, for disorganized, hastily thrown together, but delicious dinners, and the champagne and wines John and Pascale argued about and collected. She preferred French wines, and he opted for California. But everyone’s favorite locale for New Year’s Eve was Eric and Diana’s. Their home was comfortable and elegant, the cook Diana used for evenings like these was excellent and capable, and never intruded, the food was good, the wines were great, and in their impeccably decorated apartment, everyone felt they had to look their best and be on their best behavior. Even Pascale and John made an effort to behave when they came there, although they didn’t always succeed, and some minor argument would erupt about the name of a wine neither of them could remember, or a trip they wanted to take. John loved Africa, and Pascale the South of France, and often John would make inflammatory comments about Pascale’s mother, whom he hated. He pretended to hate France, the French, and everything about them, including and most especially his mother-in-law, and Pascale would cheerfully reciprocate, with acerbic comments about his mother in Boston. But despite their quirks and vagaries, there was no doubt about the fact that the six friends were far more than fond of each other. Theirs was a deep bond of affection, which had withstood the test of time, and no matter how often or seldom it was, they looked forward to seeing each other. And best of all, whenever they were together, all six of them had a good time. The doorbell rang at exactly seven-fifty-nine, and neither Eric nor Diana was surprised when she opened the door, and found Anne in a high-necked black evening gown with discreet pearl earrings, her gray hair combed into a bun, and Robert in a tuxedo, with perfectly groomed snow-white hair, standing on the doorstep, smiling at them. “Good evening,” Robert said with a twinkle in his eye as he bent from his considerable height to kiss Diana, and the foursome wished each other a happy New Year. “Are we late?” Robert asked, looking concerned. Robert was punctual to a fault, as was Anne. “The traffic was awful.” They lived in the East Eighties, whereas Pascale and John had to come from their apartment near Lincoln Center, on the West Side. But God only knew when they would get there. And to complicate matters further, it had started snowing, which would make it hard to find a cab. Anne took off her wrap, and smiled at Diana. Although she was only six years older than Diana, Anne looked like her mother. She had warm brown eyes, and wore her silvery-gray hair in a bun. She was a pretty woman, but had never concentrated on her looks. She wore almost no makeup, and had exquisite creamy skin. She preferred to spend her time on art, theater, obscure books, and music, when she wasn’t busy with her family practice law firm. She was an advocate for children’s rights, and had spent huge amounts of time in recent years, helping to set up programs for abused women. It was a labor of love for which she had received numerous awards. She and Robert shared their passion for the law, the plight of children and the abused, and both were well known for espousing liberal causes. Anne had thought long and hard about going into politics years before, and had been encouraged to do so, but had decided against it, for the sake of her husband and children. She preferred private to public life, and had no desire for the attention it would have focused on her. In spite of her considerable professional abilities, she was an admirably unassuming person, to the point of being humble, and Robert was proud of her. He was one of her most vocal fans. As Anne sat down in the living room, Eric sat down next to her on the couch and put an arm around her. “So where have you been for the past two weeks? I feel like we haven’t seen you in ages.” Robert and Anne had spent the holidays in Vermont, as they always did, with their children and grandchildren. They had two married sons, and a single daughter, who had only recently finished law school. But no matter where Anne and Robert were, or what they did, they always came back to spend New Year’s Eve with their friends. They had missed only one year, when Anne’s father had died and she had to go to Chicago, to be with her mother. But other than that, this was a sacred engagement every year, for all six of them. “We were in Sugarbush, changing diapers and looking for lost mittens,” Anne explained to Eric with a smile. She had a kind face, and laughing eyes. They had five grandchildren, and two daughters-in-law whom Diana had always sensed Anne didn’t like, although she would never have said it out loud. Neither of her daughters-in-law worked, and Anne didn’t approve of the extent to which her sons indulged them. She thought women should work too. She always had. And in the privacy of their own home, Anne had said to Robert repeatedly that she thought their daughters-in-law were spoiled. 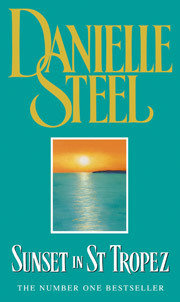 Excerpted from Sunset in St. Tropez by Danielle Steel Copyright © 2002 by Danielle Steel. Excerpted by permission of Dell, a division of Random House, Inc. All rights reserved. No part of this excerpt may be reproduced or reprinted without permission in writing from the publisher.